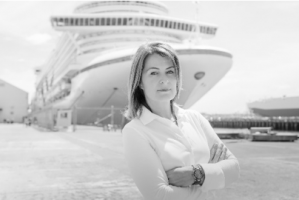 For the past twenty years, Debbie has worked for cruise destinations and the wider cruise industry to both progress and advocate for the industry within national and international forums. She has been involved in a wide range of cruise shipping operations from port agency, shore excursions (from initial development through to delivery), on board port lecturer, itinerary planner, product and infrastructure development and as an on board environmental observer. Having strong key relationships with the vast majority of the world’s cruise companies she moved to New Zealand in 2007 to work for ID Tours NZ, NZs largest Ground Handler. She is responsible for the Cruise Department and has a Board position as Executive Director. Debbie has expanded NZ shore excursion programmes and ship itineraries working closely with many key regional cruise tourism stakeholders. Debbie is also the Chairman of Cruise New Zealand which is the voice of the New Zealand cruise industry, sits on the Board of Tourism Industry Aotearoa New Zealand’s largest independent association that represents all sectors of tourism and Vice-Chair of The World’s Leading Ground Operators.